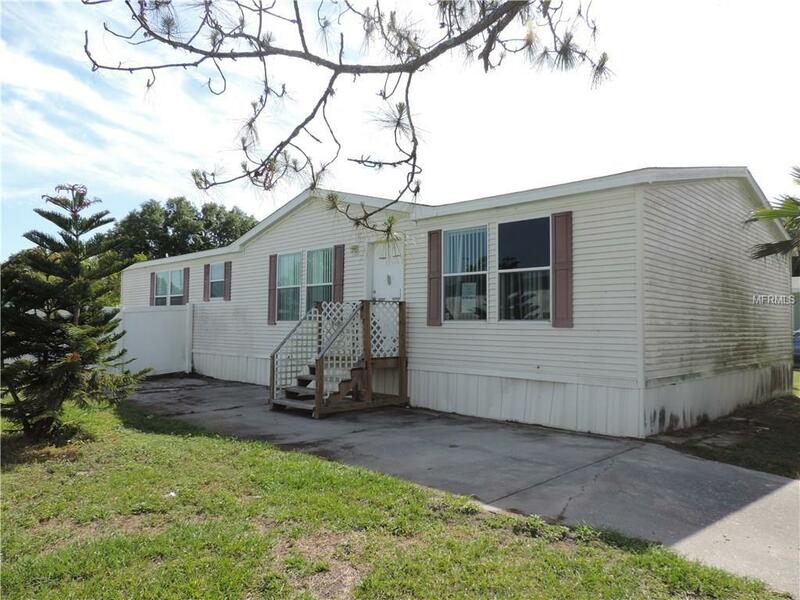 Spacious 3 bedroom, 2 bathroom manufactured home located just minutes away from the Polk Parkway, downtown Lakeland, and the shops and restaurants of Lakeside Village. This home sits on an oversized lot and is completely fenced. The inside features a living room with a wood burning fireplace, a huge kitchen with an island, and an inside laundry and utility room. The master bathroom has dual sinks, a garden tub and a large walk in closet. Needs minor repairs and flooring/carpet for the L/R and bedrooms. This property is eligible under the Freddie Mac First Look Initiative thru 4/26/2018. Buyer is responsible for paying doc stamps at closing, Seller is exempt. The home is easy to show so make your appointment today!